Every year, as an exclusive through Agile Advice, Berteig Consulting offers a discount on training it is offering. This year, we are offering training in Toronto, Calgary and Ottawa and the discount is an amazing 20%! This discount is being offered to anyone who registers online before Sept. 20th, 2008 – use the coupon “Agile Advice Discount” in the notes field. 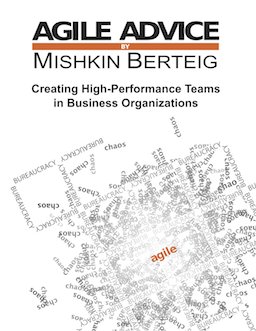 Berteig Consulting sponsors the Agile Advice site. Christian Gruber pointed out a great blog to me today: Lean Software Engineering. I’ve read a few of the articles and I like them. I don’t agree with every detail, but I’m pretty happy with what I see there. In particular, I really liked the article on using a Priority Filter. The idea of a priority filter is a great operational technique but it makes it difficult to clearly justify the cost-benefit of doing the work. Picking the highest priority item from a set of items that all have a negative return is still a bad way of working. The technique could easily be combined with an analytical assessment of the value of a piece of work relative to the cost of the team (and any capital costs). One of my favorite books is Good to Great by Jim Collins. One of my other favorite books is Freakanomics by Steven Levitt. This article, From Good to Great … to Below Average, takes an interesting look at what has happened to the Good to Great companies in the intervening years. I found the comments to be particularly valuable to read. The first day of the Agile 2008 Conference was fabulous! I’m working with five other great people including my wife, Melanie, my father, Garry, and three good friends: Paul, Travis and Laila. We have set up a beautiful booth designed by my brother, Alexei Berteig. Working at the booth has been a tiring yet exhilarating experience. Before the conference we received Boothmanship Training from The Portables. The people at The Portables have been excellent and I highly recommend them to anyone embarking on a booth display at a conference. Today I delivered the first of my two presentations at the conference. The thirty minute experience report: “Extremely Short Iterations as a Catalyst for Effective Prioritization of Work” was well received. There were about 25 people in attendance and despite the short time for questions, there were some good ones. I enjoyed delivering the presentation and it was filmed for later publication on InfoQ. I also received highly positive feedback after the talk. On Thursday, I am giving a much more substantial presentation titled “Meta-Agile: Using Agile Methods to Deliver Agile Training“. This will be a three hour workshop in two parts: a 90 minute presentation, and then a 90 minute participatory patterns workshop. If you are a trainer or coach, I highly recommend attending this one! I also ran into many friends… too many to list, in fact. It is surprising to me to see how many people I know in this community. There are over 1500 people at this agile conference, and I can’t walk more than 20 steps without running into someone I know. One other really cool thing is that everyone is commenting on how much they like the notebooks that were included in the conference bag – highly popular. In fact, three people have commented that it was the only useful thing in the bag… which is actually a bit of an exaggeration since the conference program was also in the bag and I suspect that it might be just a wee bit more useful 🙂 Nevertheless, the feedback has been great. Come check us out at our booth if you are at the conference – it’s unmistakable – strong red backdrop with the Berteig Consulting logo across the top. We also have a great raffle so be sure to drop off your raffle entry which is found in your notebook pocket.